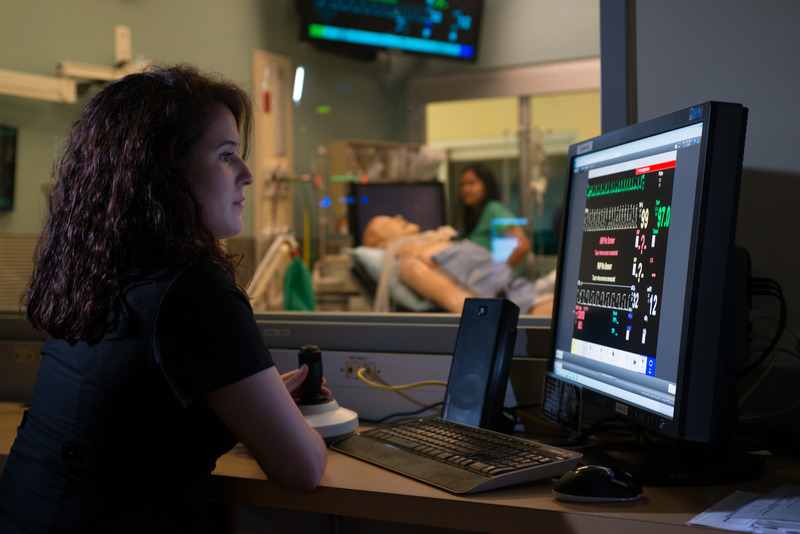 Simulation teaching is providing our students with an unprecedented, hands-on learning experience. This is most evident when you enter through the doors of the 20,000 square-foot Simulation Teaching and Research Center – aka S.T.A.R. Center – at the Nicole Wertheim College of Nursing & Health Sciences. And all using genuine equipment complemented by state-of-the-art simulation education technology. Part practice, part instruction, the S.T.A.R. Center features three control rooms for operating computerized patient care scenarios and monitoring your progress through video capture. 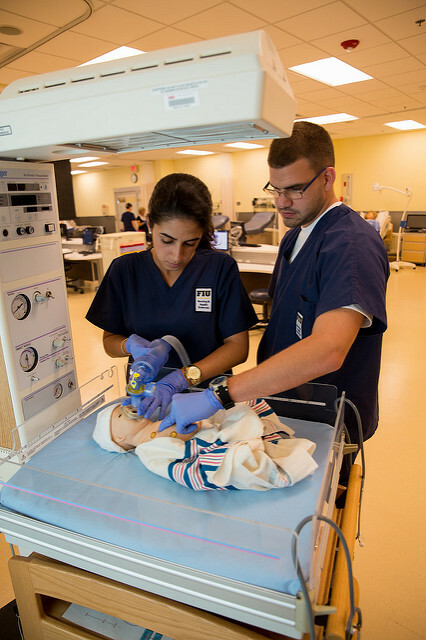 After finishing simulation clinical work, you’ll meet with your instructors and other students in one of three debriefing rooms to review, evaluate and discuss outcomes of the day's simulations. The S.T.A.R. 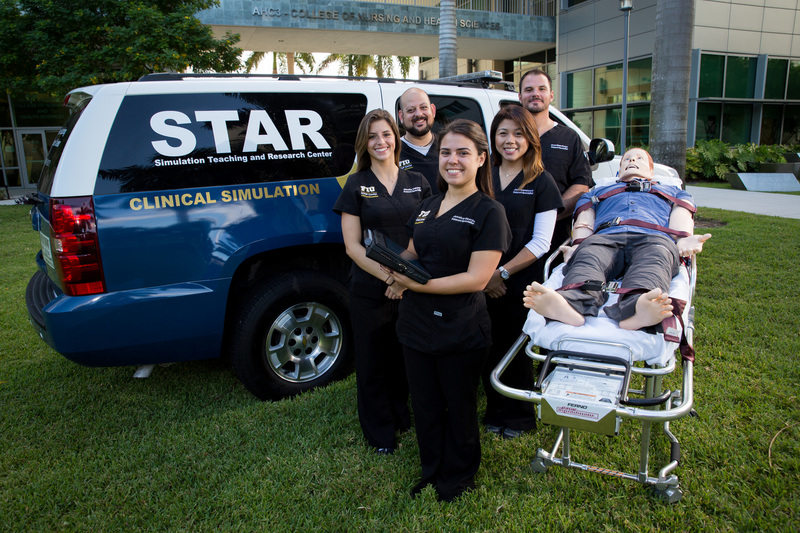 Center North on the Biscayne Bay Campus is equipped with the same technology and simulated training/education equipment featured in our main S.T.A.R. Center. It is located on the second floor of the AC II Building and is used primarily for students of our Foreign-Educated Physician to BSN/MSN program. Our mobile S.T.A.R. 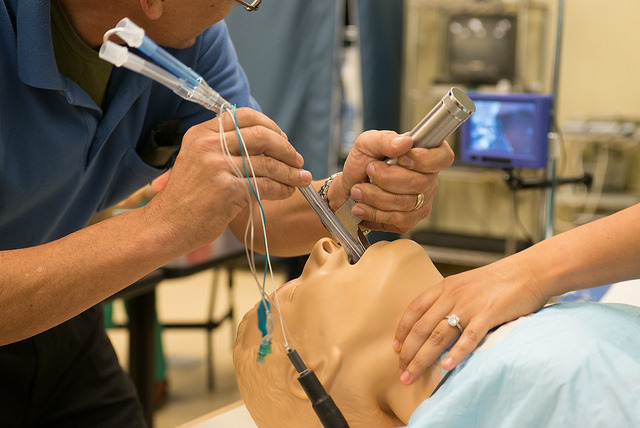 BRITE project extends delivery of excellence in clinical education by taking real-world patient simulation instruction to healthcare providers out in the community. Via our “Train-the-Trainer” SUV, we deliver modular courses to healthcare providers at their place of work or other designated locations throughout the region to give them onsite clinical instructions they may seek for certification, continuing education or professional advancement purposes.